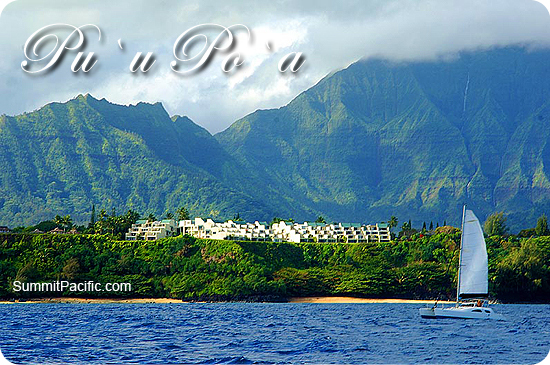 Welcome to The Princeville Oasis, your private paradise - at Pu'u Po'a 308 in Princeville, Kauai. Stressed at work? Need time away? Do you want to treat yourself to a fabulous vacation? Look no further, you've found the ultimate in luxury and relaxation. 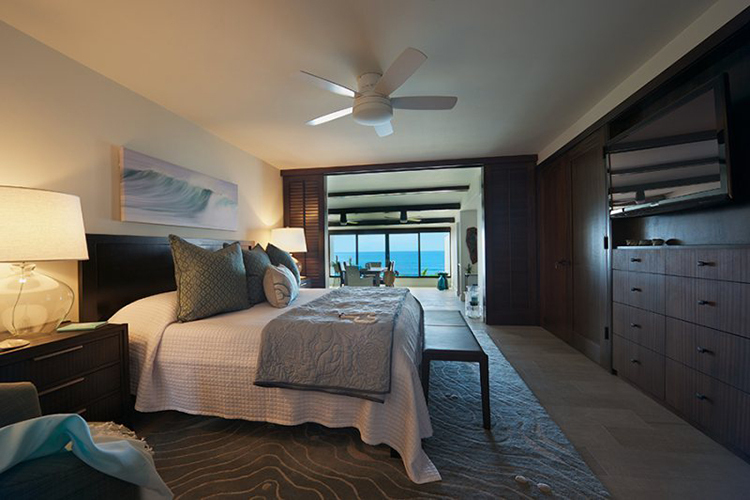 This 2000 square foot (including the lanai) ocean front condo was completely renovated in 2013 with professional luxurious design, dual master suites and a spacious spa like atmosphere for your respite in paradise. 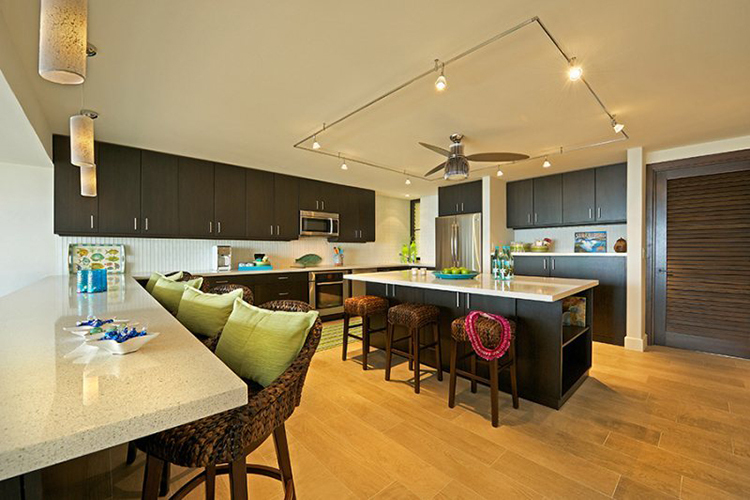 This unit at Pu'u Po'a has a unique updated floor plan and beautiful furniture and design that has to be seen to be appreciated. 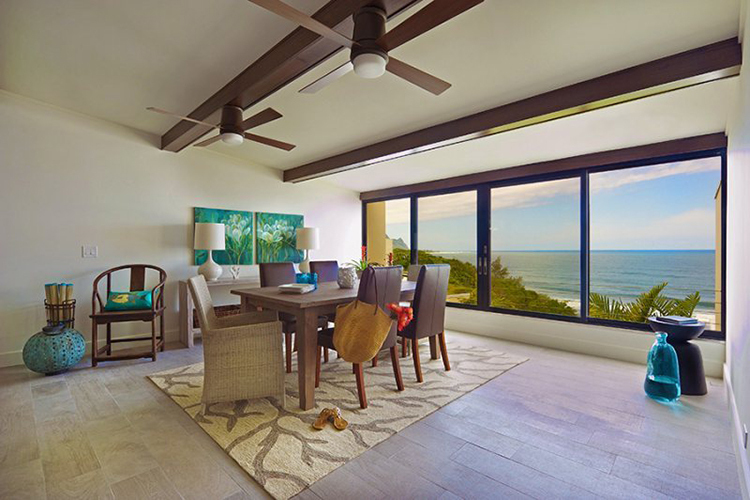 From your lanai, kitchen, dining room, and master bedroom, take in beautiful unobstructed views of the ocean. 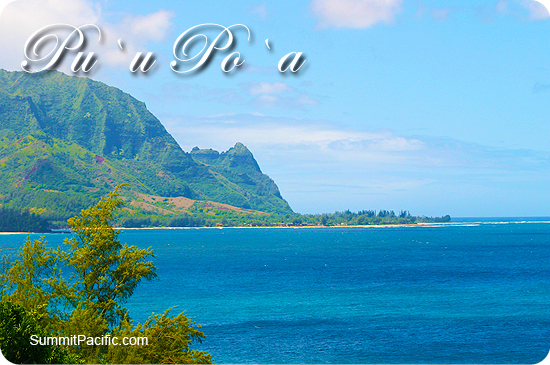 You can also see the Makana Mountain (called Bali Hai in the movie South Pacific) and the beautiful sunsets. During the winter you can spot whales and dolphins, surfers conquer the challenging waves, sailboats and ships, and enjoy the soothing noise as the surf hits the shore. In the summer, enjoy calm and majestic snorkeling at Hideaway Beach right below the condo. All the beach equipment is provided for you. After the sun has gone down be prepared to relax and revel in the multiple spa like amenities the Princeville Oasis has to offer. Walk on the beautiful custom ceramic "hardwood" tile imported from Spain. Enjoy watching the big game on the 55" Flat screen television or watch a movie on the Apple TV with stunning 6 speaker audio sound (Netflix account included). Surrounded by plush custom furnishings and all the comforts of home, put up your feet and enjoy the show and the view. Need to check up on emails? No problem - Princeville Oasis has high speed wireless internet and a printer for your convenience. In the mood to cook a wonderful Hawaiian feast? The Princeville Oasis' large, fully appointed kitchen features top of the line new appliances including a full size washer and dryer and filtered water at the sink. Designed with beautiful sparking Caesarstone countertops and rich, modern bamboo espresso stained cabinets, this kitchen is a chef's dream. You can enjoy the ocean view as you prepare your feast. Savor your meal in our beautiful dining room that seats up to 8 people or dine alfresco on your private lanai that seats 6. In the mood to BBQ? 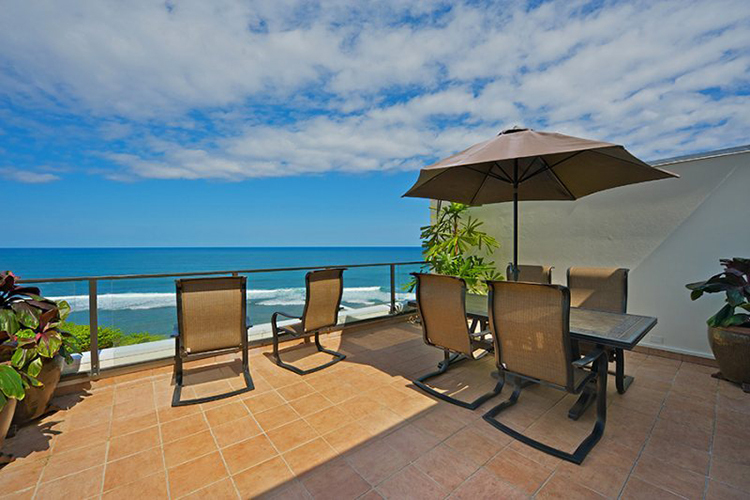 Enjoy a private BBQ on your lanai. After a day and evening of fun, retire to one of the beautiful dual master suites each with, flat screen TVs, Apple TV, custom king beds and Design Within Reach Sonno Versa Mattresses. If you've never had the pleasure of sleeping on a Sonno Versa you are in for a treat. The Sonno Versa offers all the luxury of a memory foam mattress with none of the heat trapping. It features CoolMax fabric and deep channels of ventilation to give you the feeling of sleeping on a cloud every night. You won't even notice your partner's movements during the night. Before bed enjoy a bath in the main master bathroom featuring a tub with 46 channel-fed air jets for total relaxation. 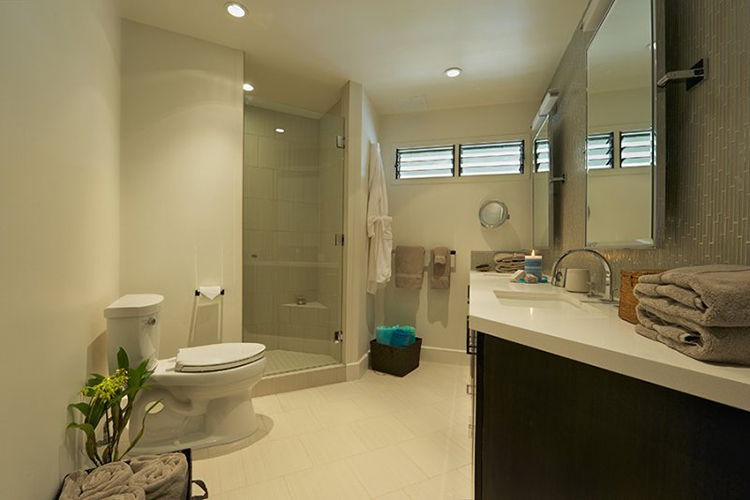 Both bathrooms feature double sinks, large walk in showers, magnified vanity mirrors and hair dryers offering all the 5 star resort conveniences in a beautiful private home. Each bath is appointed with stunning custom glass tile and top of the line fixtures giving you the ultimate spa experience. We've installed an extra-large water heater so you will always have hot water for your use. 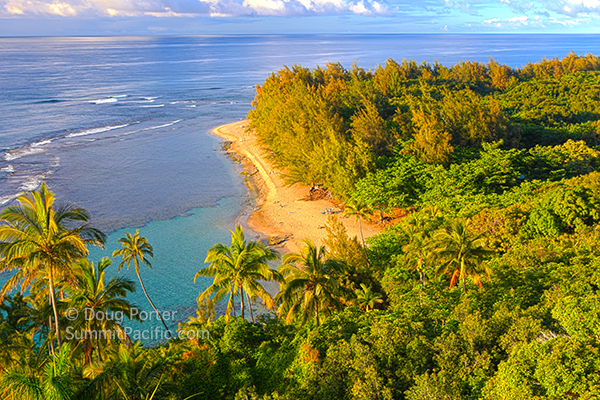 Interested in venturing beyond the Princeville Oasis? There is plenty of fun, beauty and relaxation that await you. The Princeville Oasis property amenities include a pool and private tennis court (rackets and balls provided) as well as ample free parking. After playing tennis or lounging by the pool, head over to the adjacent St. Regis Princeville Resort and Spa. At the St Regis you can enjoy sunset Hula music nightly in the lobby bar, two luaus per week or their beautiful beach and beach activities. 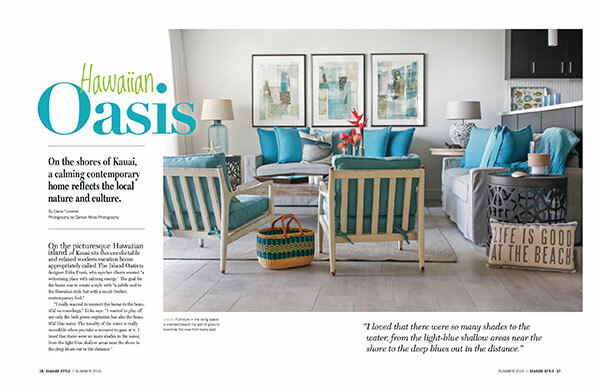 You can also dine at one of their four restaurants overlooking gorgeous Hanalei Bay or book an appointment for a relaxing massage at the 10,000 square foot spa. 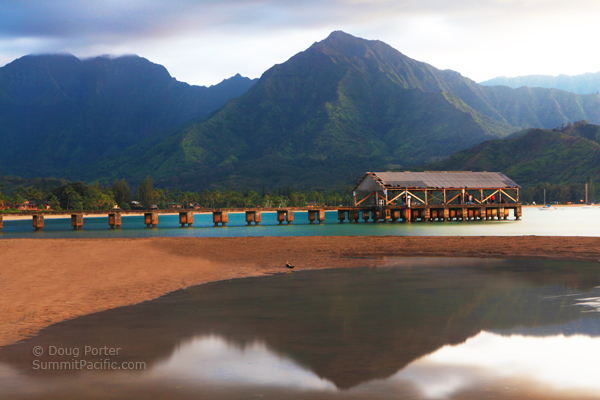 Aside from the stunning St Regis Resort and Spa, the island of Kauai has hundreds of activities to satisfy all tastes. 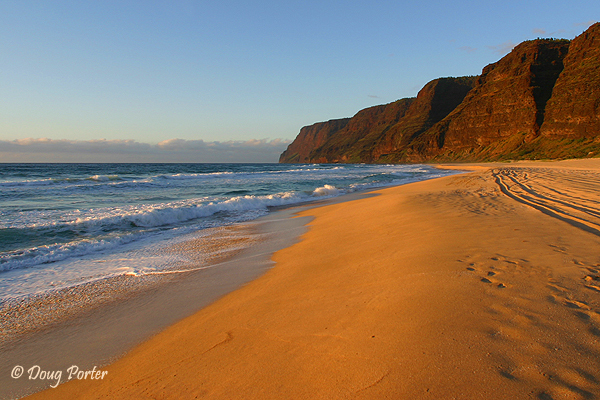 With over 69 beaches it is hard to go wrong. There is Hide Away Beach that is a 5 minute hike below the Princeville Oasis and Hanalei Bay Beach at the St. Regis right next door. 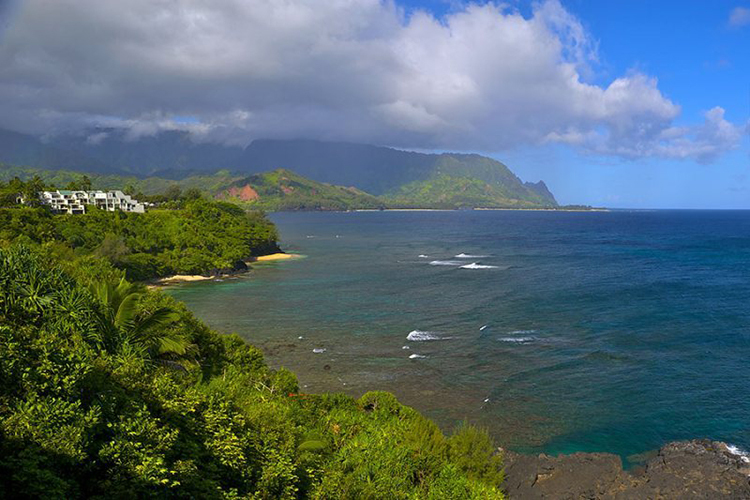 In addition to its fabulous beaches Kauai has numerous hiking trails, helicopter rides, horseback riding, kayaking, boating, surfing, biking, tubing down the sugar plantation ditch, zip lining or for the ultra-adventurous, ride in a powered hang glider (trike) over the island. 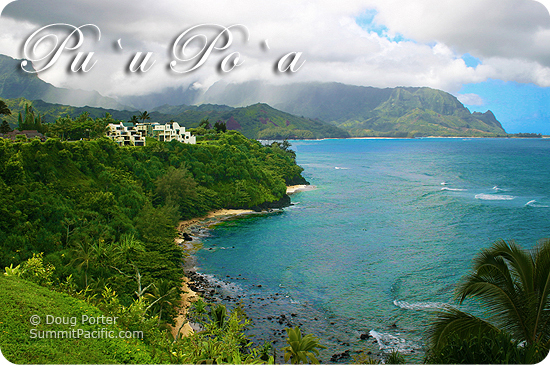 There are also numerous botanical gardens and historical places to visit, including the Hawaii Movie Tour. 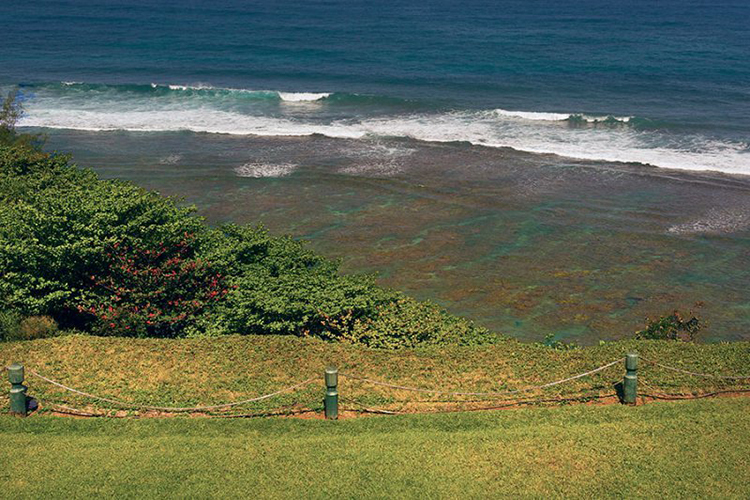 For the golfer, there is a 27 hole Makai Golf course ½ mile from the condo, designed by Robert Trent Jones II. Also, in the condo you will find books with a list of all activities including dining recommendations. 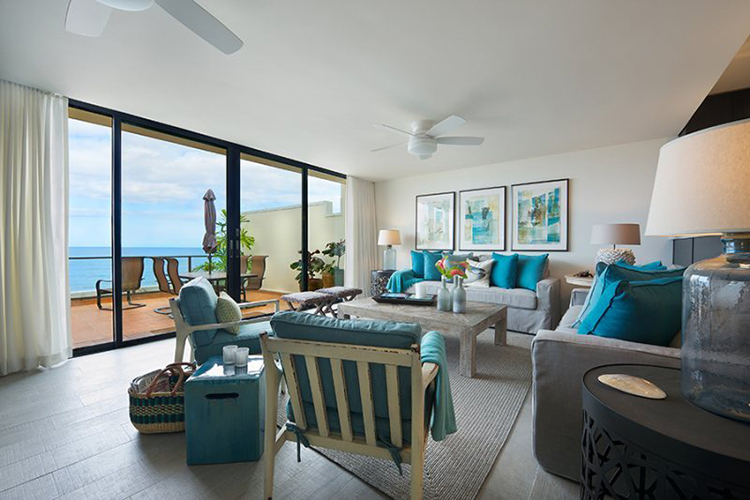 Resort Details: Watch beautiful sunsets, surfers or whales during winter months over the blue Pacific Ocean from this stunning low-rise condo and Puu Poa. This charming complex features a jungle path down to a secluded sandy cove, as well as a tennis court and swimming pool overlooking the ocean. The 2 bedroom/2 bathroom units are spacious and private. 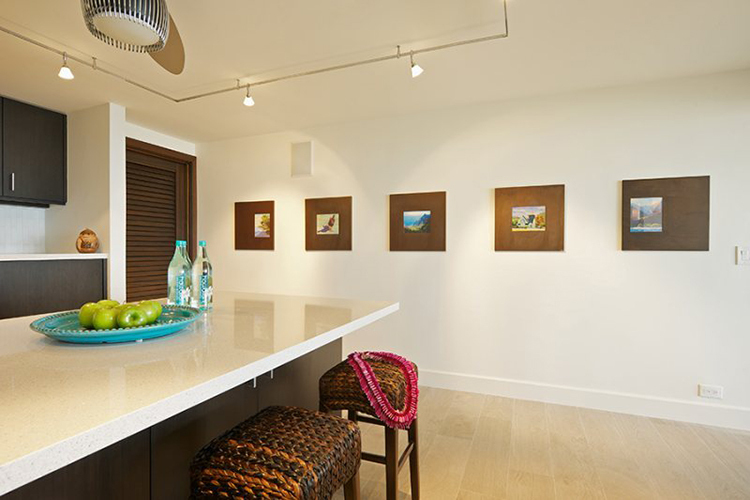 Each condo is elegantly appointed and located directly next to the Princeville St. Regis Hotel and another path down to Hanalei Bay. Click the article below to open in a new tab for viewing. Wow! This is a beautiful property both inside and out. Views of Bali Hai and Hideaway Beach were stunning. The interior looks like it is straight out of the pages of Architectural Digest. L'Occitane toiletries in both bathrooms contribute to the deluxe experience. The owner also kindly provided an array of recreational items (board games, surf boards) and cooking ingredients (oils, spices and condiments). 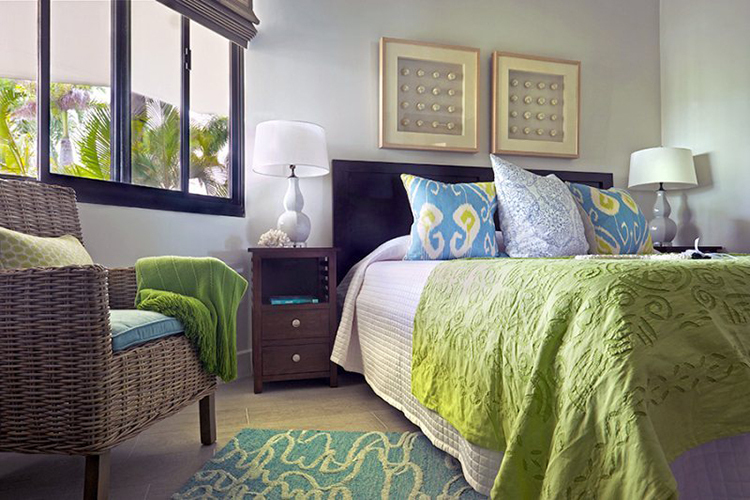 Sea breezes and ceiling fans, instead of air-conditioning, kept the unit at a very comfortable temperature. 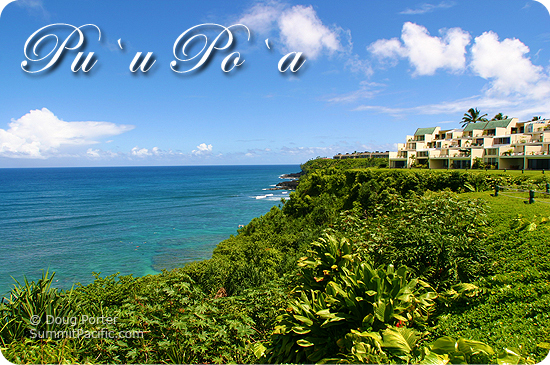 It is very conveniently located near the St Regis and the Makai Golf course. 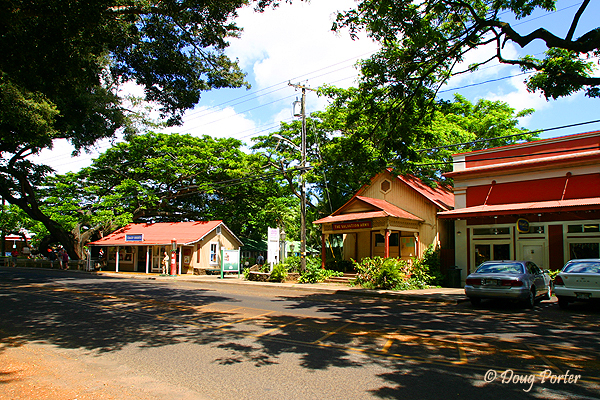 Princeville Shopping Center is an easy drive (2 miles). Wow! it's a great feeling when a property looks even better than it's pictures! My wife kept saying, "they have thought of everything!" ...and they had. The kitchen had every thing you could want from raincoats to binoculars it was fully equipped. Perfect spot for our vacation together. 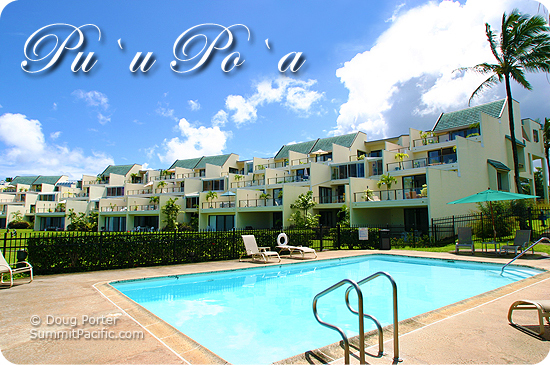 We were in Kauai for a week after Christmas, and this Pu'u Poa condo (#308) was one of the highlights of our trip. From the moment we walked in the door, we were struck by the beauty and comfort of this lovely condo. As two couples, it was great to have the privacy of two ensuite bedrooms. We cooked quite a few of our meals at home, and the kitchen was incredibly well-equipped, from the array of dishes, pots and pans, spices, and even a salad spinner! Being able to fresh fish on the grill on the lanai was a treat. The beds were very comfortable, and it was so soothing to fall asleep to the sounds of the ocean waves every night. We were impressed by the bathrooms, and didn't need to buy any paper products, dishwasher soap or laundry soap during our stay. The beach towels provided were wonderful - large and fluffy! Watching humpback whales from the lanai was made easier with the provided binoculars - such a nice touch! The Princeville location is a great jumping off point for so many things - it's a short walk to the beach at St. Regis, to Queen's Bath, or just along the golf course. My new wife and I traveled to Hawaii for our honeymoon and without a doubt this condo was definitely a spectacular way to end our vacation. 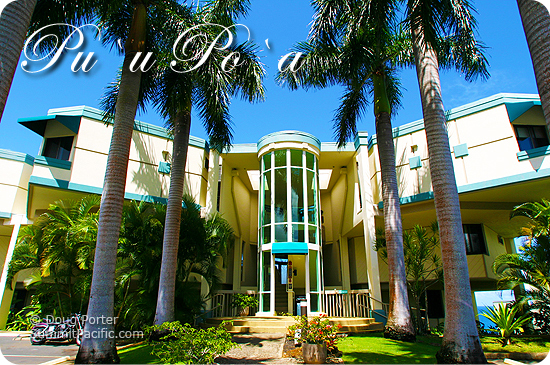 The updated and well decorated spacious condo was as represented and is absolutely beautiful, located in a clean and well cared for facility featuring an absolutely spectacular view of the Napali coast. Watching the evening sunset is something else. Hideaways Beach is very nice but the walk down is treacherous. Do not attempt unless you have good physical mobility. We saw a huge sea turtle while snorkeling just off the beach. The beach at the St. Regis next door is much easier to get to. We strongly recommend the no-doors helicopter tour with Jack Harter Helicopters. Ask for Chris the ex-military pilot. An unbelievable way to see the island and the Napali coast. He would fly in the canyons, not just over the top of them. We also did the 17 mile kayak tour of the Napali coast which offered a much different perspective and allowed us to travel in a few sea caves. If you are in reasonable shape you can do it but you will be tired at the end of the day. This trip can only be done in the summer. Who knows what you will see. We saw a few turtles and a monk seal. 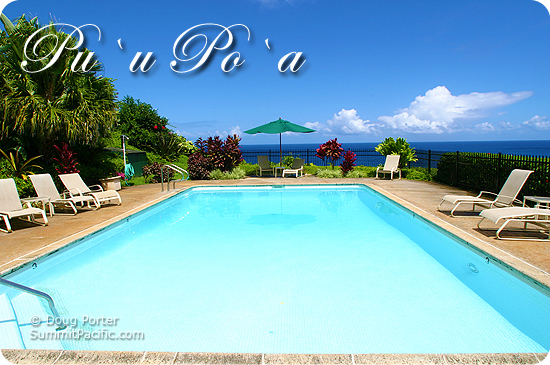 My family and I stayed at this beautiful Pu'u Poa condo in March/April 2013. The moment we walked in we loved this place. The condo is brand-new: new furniture, new appliances, new everything, high-end and tasteful. It felt like walking into a designer showroom. 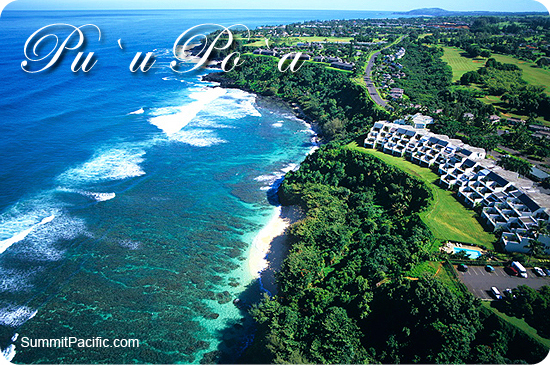 The condo has astonishing views: all rooms except for the second bed room overlook the ocean and parts of Hanalei Bay. It's only a minute walk away from the St. Regis which has a calm beach and kayak rentals, or you can climb down to a great snorkeling beach right behind the condo (beach gear is provided in the condo). There is also a fantastic golf course close by. There is a BBQ on the patio and you can grill your food while enjoying the sunset. If you don't feel like cooking, there are plenty of terrific local restaurants close by. We also liked the pool and the adjacent lawn where our kids played soccer. The owners were lovely and helpful. I would definitely recommend this condo!!! Stayed: Mar 2013 One word, WOW describes this amazing place. We are accustom to staying at five star hotels and this place did not disappoint. The question I would ask, why would anyone pay 2 to 3 time as much for a suite at the St Regis when you can get this 2 bedroom beautiful home for a fraction of the cost? 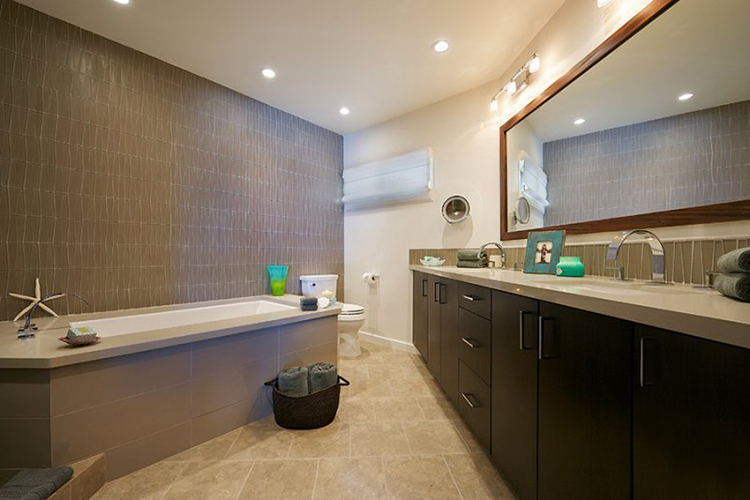 This condo just received a total remodel with beautiful decor and a full "large" kitchen. Nothing was missing during our week long stay in this home. The views are spectacular and the sunsets are one of kind. It was delightful to wake up every morning with a cup of coffee and watch the breaking of the waves. The beaches are beautiful, including a 2 minute walk to Hideaway Beach, spectacular! 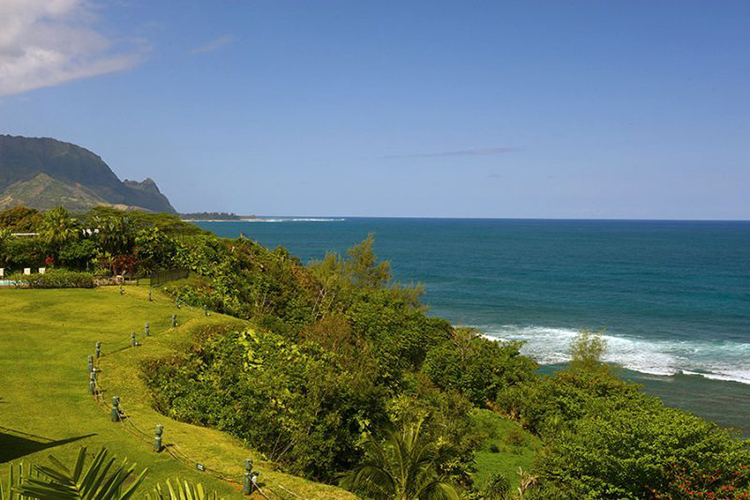 The condo is centrally located, just a 5 minute walk to the St Regis, shopping is only two miles away and if golf is your thing, there is an award winning golf course at the Princeville Resort. We highly recommend this condo as the perfect place to stay on the island.